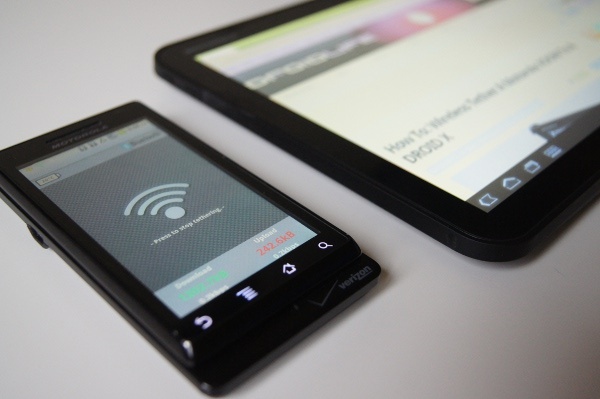 Yesterday we put together our guide on how to wireless tether your DROID X to your Motorola XOOM, but wanted to make sure we covered all of the original DROID members out there as well. And since the original DROID creates an ad-hoc spot rather than infrastructure like the DX or various other phones, a standard wireless tether won’t work, so we have to go with Bluetooth instead. Luckily, the Wireless Tethering app from the market has a Bluetooth option, and that’s exactly what we’ll be using here. I should also point out that this method does require that you root your original DROID, but for those of you with a DX, D2 or Pro, you can apparently do this without rooting. *Note 1* – This will apparently work on the DROID X, D2 and Pro without having to root. 2. Download Wireless Tether from the market and install on your DROID. 3. Open Wireless Tether and switch it to use Bluetooth. 5. From your XOOM, set your device to Airplane mode. 6. 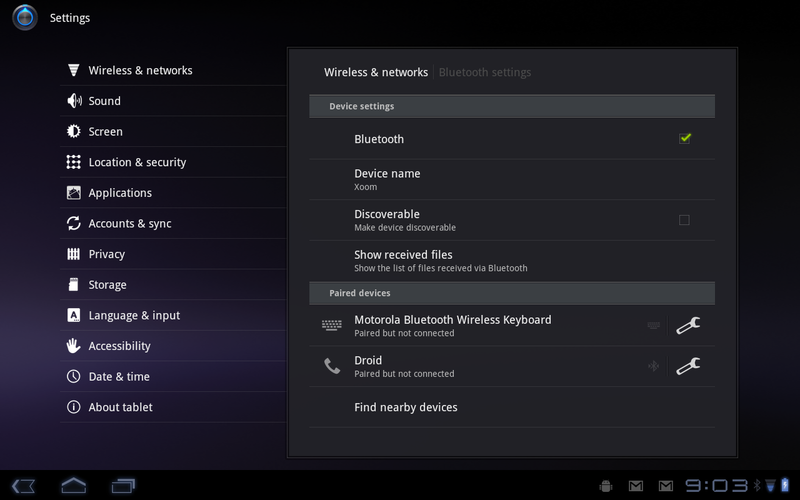 Head into the Bluetooth settings on both your DROID and XOOM and turn it on. 8. Once both are seen, head back into Wireless Tether and turn it on. 9. 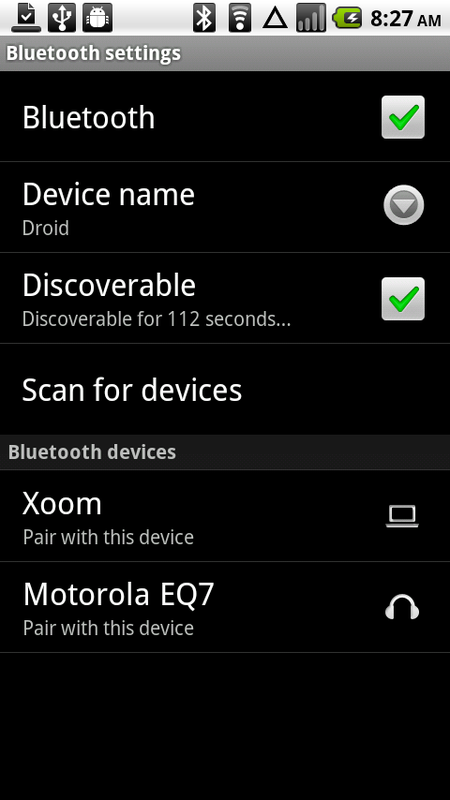 From your XOOM tap on “DROID” and “Pair” both devices when prompted. 11. From your XOOM, tap on the Wrench icon next to your paired DROID. 12. You should now see a Tethering option. Tap on it. 13. You are now tethered. Enjoy. Huge hat tip to Nvious1 over at XDA for getting the ball rolling on this guide.